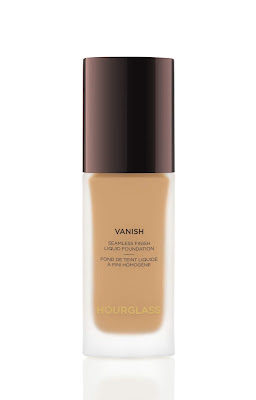 It’s not secret that Hourglass’s Vanish Seamless Finish Foundation Stick is a worldwide beauty phenomenon - with the coverage of a concealer, the fluidity of a liquid, and the weightlessness of a powder in a long-wearing waterproof stick formula The unprecedented concentration of pigment in this foundation provides maximum coverage with minimum product, and it is so damn travel and handbag-friendly it’s not funny! So, it was with high expectations that I greeted the arrival of their brand new Vanish Seamless Finish Liquid Foundation, which most definitely lives up to the hype surrounding its predecessor. A highly concentrated, liquid foundation, it really does “deliver instant full coverage for virtual skin perfection”, as the description says. Better yet, the seemingly weightless formula applies like a second-skin and in just a few careful swipes of the brush, leaving a radiant satin finish that is super flattering in a crazy quick amount of time. This baby really does provide full coverage with minimal product, meaning that you don’t need much and can barely feel its there. It has light-reflecting microspheres that pretty much blur and create a soft-focus finish (no filter needed), and the non-comedogenic formula is waterproof, transfer-proof, and sweat-proof so perfect even on the most humid of days. I’ve been applying mine with a foundation brush for a super simple approach, but I’m guessing fingers would work just as well at a pinch. I’m a freak for a good brush application so that could be just me, and I have to confess I haven’t tried with a Beauty Blender as yet. I almost forgot to mention that it’s also vegan and cruelty free, which are majors for me. Hourglass Vanish Seamless Finish Liquid Foundation lands soon in 32 shades at Mecca Cosmetica, Mecca Maxima and meccabeauty.co.nz with an RRP of $83. It ain’t cheap but a little goes a long way, and for a formula this great? It’s totally worth it.